-- a San Francisco-based food photographer, food videographer, and cookbook author. In 2009 I founded the recipe website The Bojon Gourmet after leaving my career as a pastry chef to pursue food photography. 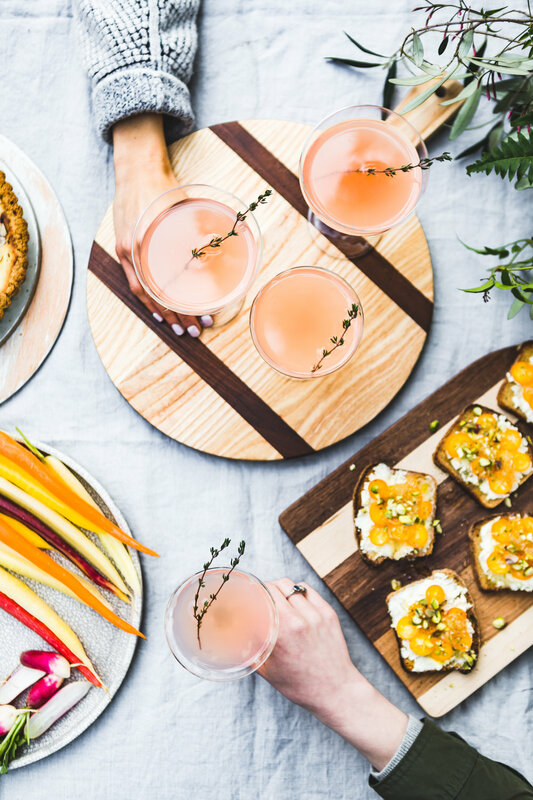 In addition to shooting cookbook, magazine, and web content, I also work with brands big and small to develop and photograph recipes and cinematic recipe videos in collaboration with Sarah Menanix of Snixy Kitchen. I’m also available for sponsored blog and social media posts through my Bojon Gourmet platform. My clients have included The New York Times, Food & Wine, Food52, GFF: Gluten-Free Forever Magazine, KitchenAid, Pearls Olives, Roth Cheese, Rodelle Vanilla, Page Street Publishing, and Roost Publishing. I’m the author and photographer of IACP award-winning cookbook Alternative Baker: Reinventing Dessert with Gluten-Free Grains and Flours, and I had the pleasure of photographing the beautiful cookbooks Masala & Meatballs and PREP. For more information on how we can work together, please email: agoodie@gmail.com.